When you're looking for an escape from the ordinary, book one of our horseback beach ride sessions. Horseback riding is the perfect way to relax and take your mind off the stress and tension of everyday life. Come down to beautiful Fort Pierce, Florida, and let the cool sea breeze blow your worries away. Take a ride down the stunning scenic beach of St. Lucie County and experience a slow-paced, gentle ride down the sandy shores. We also do guided tours of preserves filled with a vast array of natural landscapes such as wetlands, hammocks, grass fields, giant old oaks, and a variety of wildlife. We welcome beginner and advanced riders alike. Children do not need prior riding experience as long as they are 10 years of age or older. Remember to bring your camera—we’ll gladly snap photos of your equestrian experience. 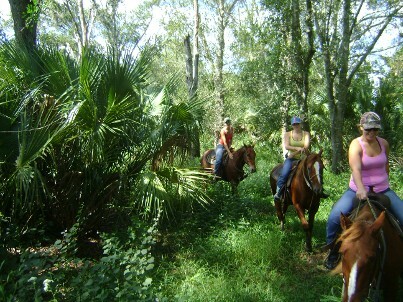 Book a wonderful day of horseback riding on the beach. E-mail or call for availability. We meet at 3600 S Ocean Drive, on Hutchinson Island, FL, at the Frederick Douglass Memorial Park.